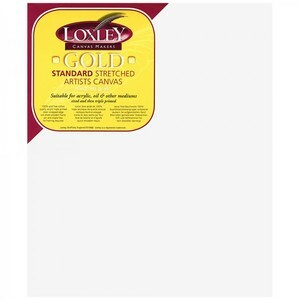 Loxley Gold Artists canvases are known by for their high quality and finish. The priming formula, developed by Loxley, is a four coat process which provides a bond for the paint whilst preventing the colour from sinking into the cotton. 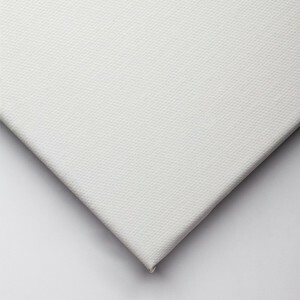 This 100% cotton canvas has a medium grain and smooth texture, making it ideal for all techniques (including Impasto, wet-on-wet, Glazing etc) in Alkyd, Acrylic and Oil paints. Each canvas is hand-stretched over specially profiled wooden stretcher bars and stapled on the reverse, leaving the sides 'clean'. This, along with the carefully tailored corners, allows the finished painting to be hung either unframed or framed as you wish.